Our next meeting will be Monday, March 25th at 7:00 PM in the LHS cafeteria. All Junior and Senior parents are invited! Window decals are available to show your support for any Lakeview sport or activity. Please contact Melissa Foltz to order. $12 generic $15 personalized or 2 for $25 . CLICK THE HEADLINE TO VIEW ALL AVAILABLE OPTIONS! 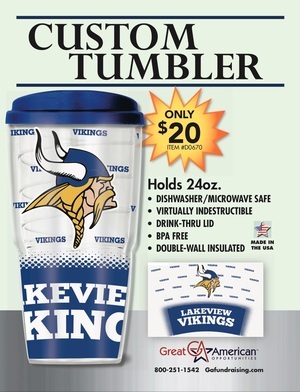 Purchase Your Lakeview Tumblers from any Junior or Senior Parent or email lvpostprom@gmail.com! Profits go to benefit Post Prom 2019!! !